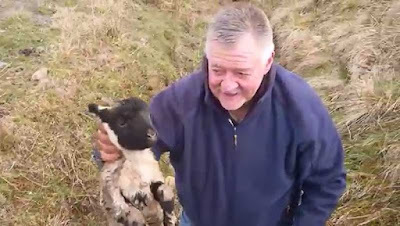 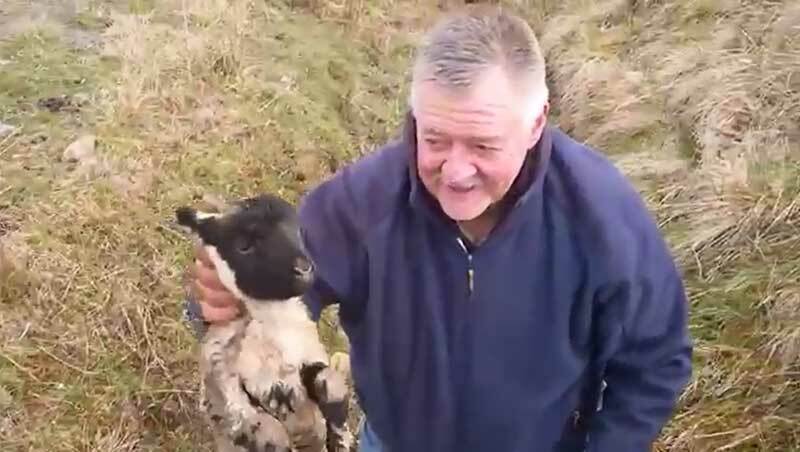 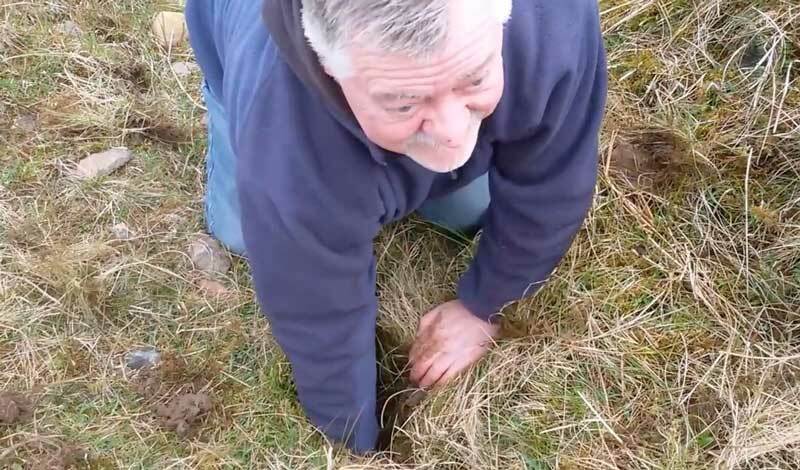 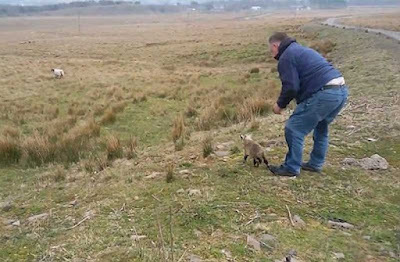 A little lamb was rescued from a crack in the ground by a passing rambler. 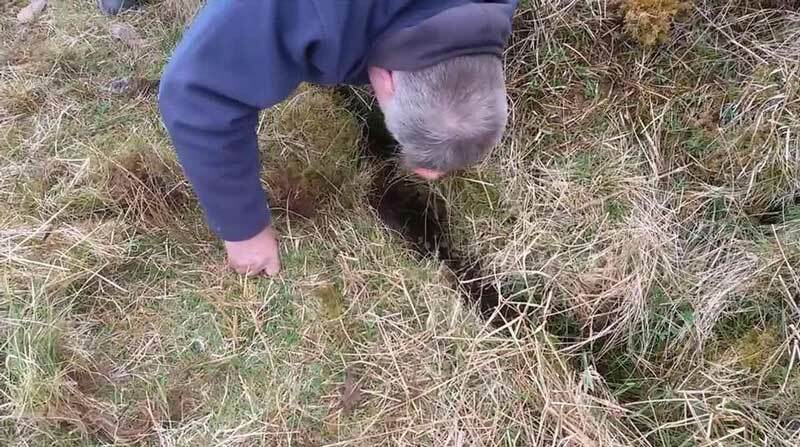 As he and a friend were walking in the countryside near Glasgow, Scotland, they heard the animal's bleating coming from under the ground. 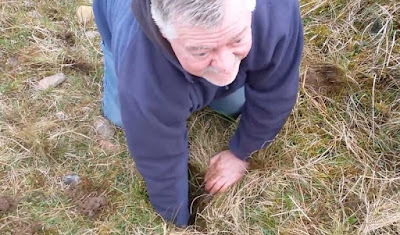 One of the pair, identified as Charlie, reached down into the hole in an attempt to grab the baby sheep. 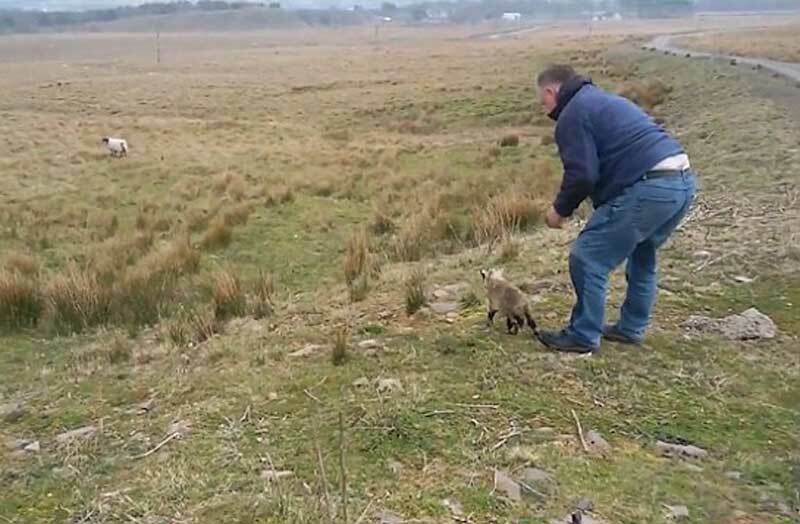 After successfully hauling the apparently unharmed lamb from the ground, the little animal was released back to the rest of the flock.